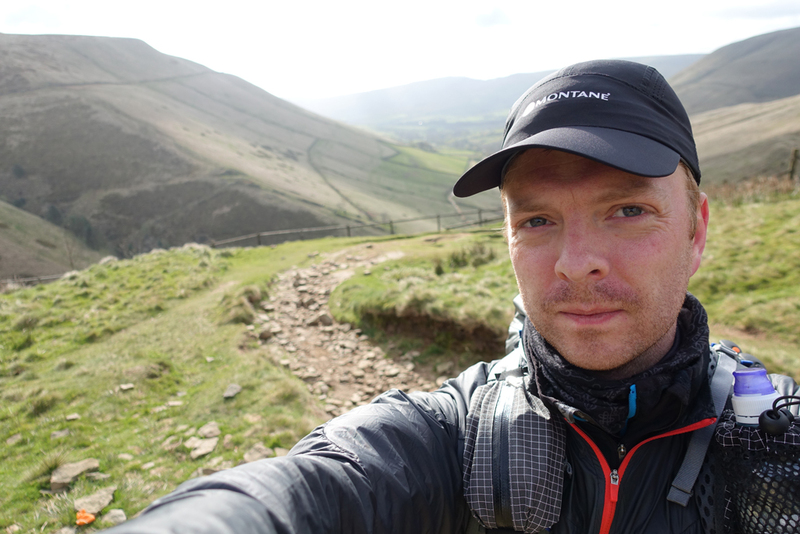 The main purpose of this trip was to have a final test of the kit I’ll be taking on the TGO in 3 weeks time. 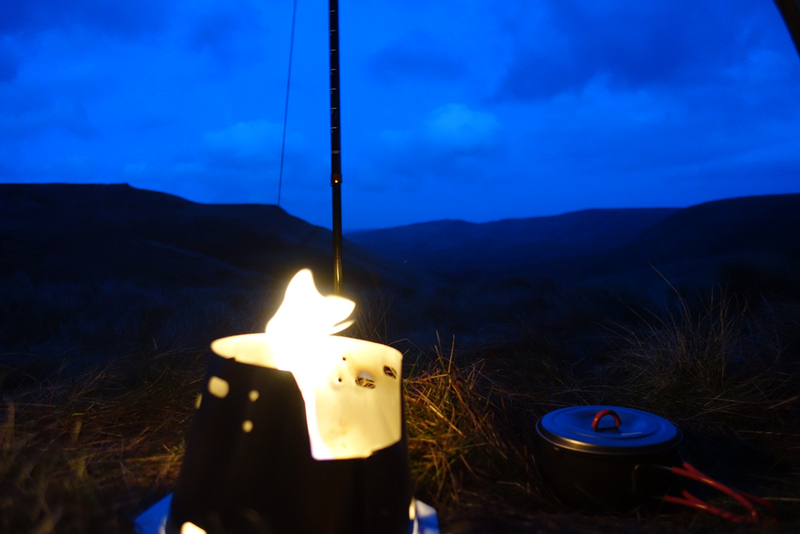 Everything has been used/tested before on previous trips but not necessarily together in this combination. 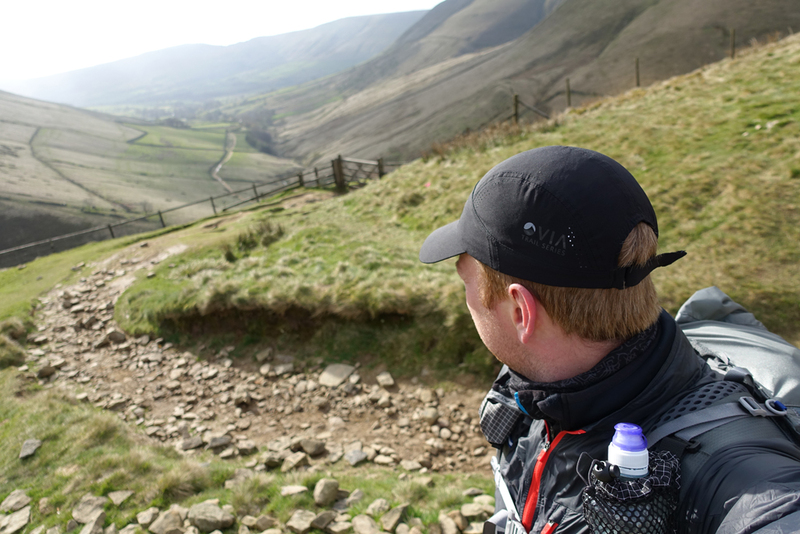 The short route started at Edale and headed up The Nab and turning West towards Swines Back. Arriving at Swines Back a few friends that I’d arranged to meet had already pitched their tent on the summit. Wind speeds were forecast for 40mph gusts…however it was a consistent 55mph and gusting to around 65mph! 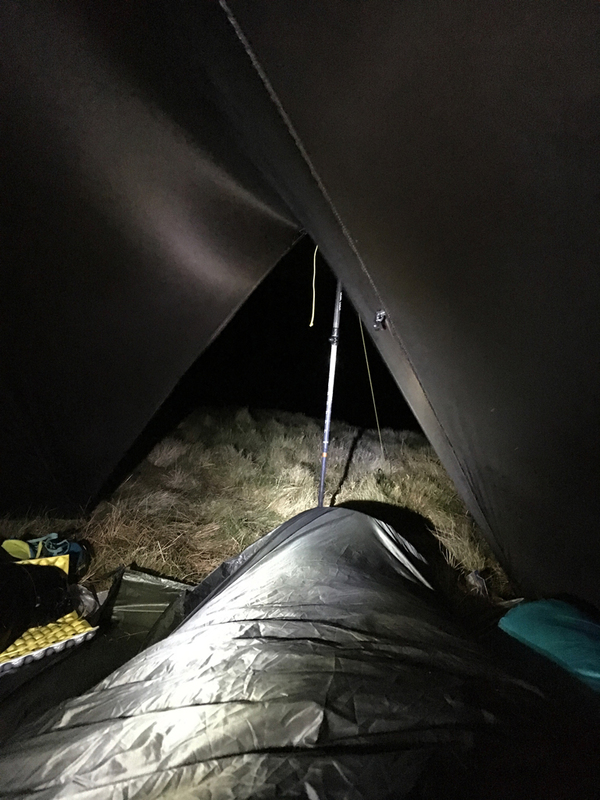 Their shelter was dealing with the wind very well, but I didn’t want to fight with the Trailstar or more importantly risk damaging it so close to the TGO. 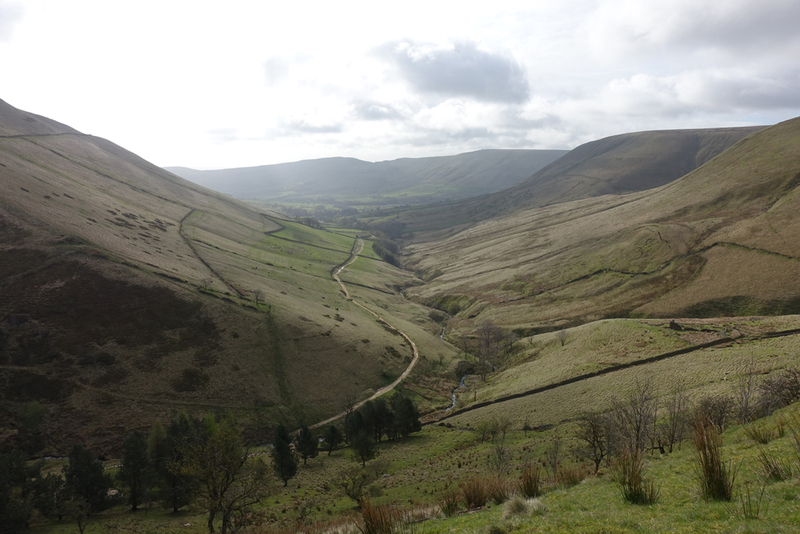 So Tim and I dropped just below Swines Back overlooking Jacobs Ladder where it was a lot less windy. 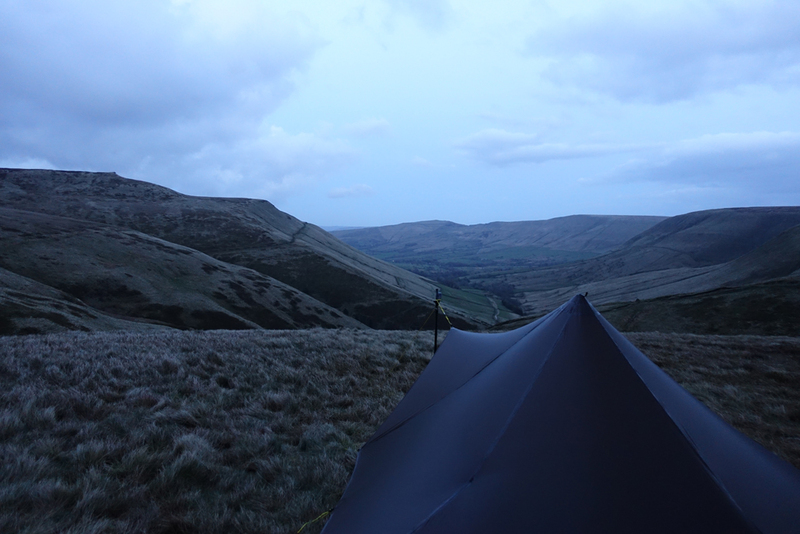 Temperatures stayed around 1c but the wind chill outside the Trailstar was probably around -7c. The next day we packed up and headed back up to Swines Back where we met the others coming down. 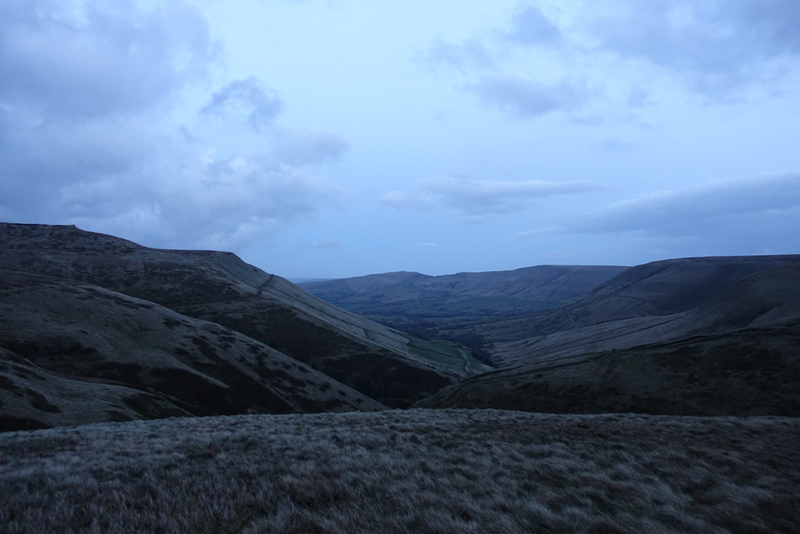 After a brief chat we went our separate ways and I headed down Jacobs Ladder to Edale via the Pennine Way path. Garmin Fenix 3 watch, tracking the route kills the battery. 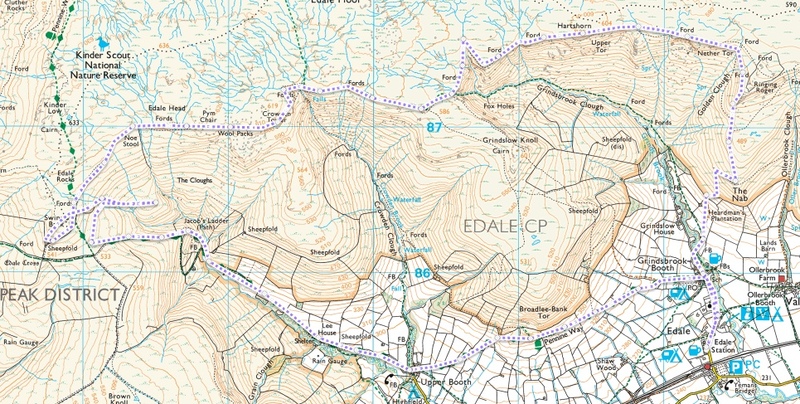 It won’t last more than a couple of days so I’ll just use the Spot for route tracking. 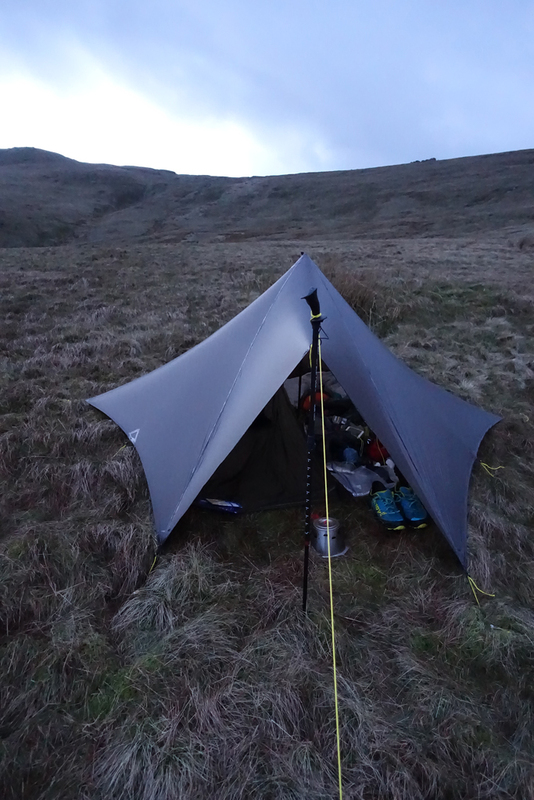 MLD Superlight Bivy – This is the first time I’ve used it with the Silnylon Trailstar bath tub and my Xtherm mat. This combination doesn’t work! 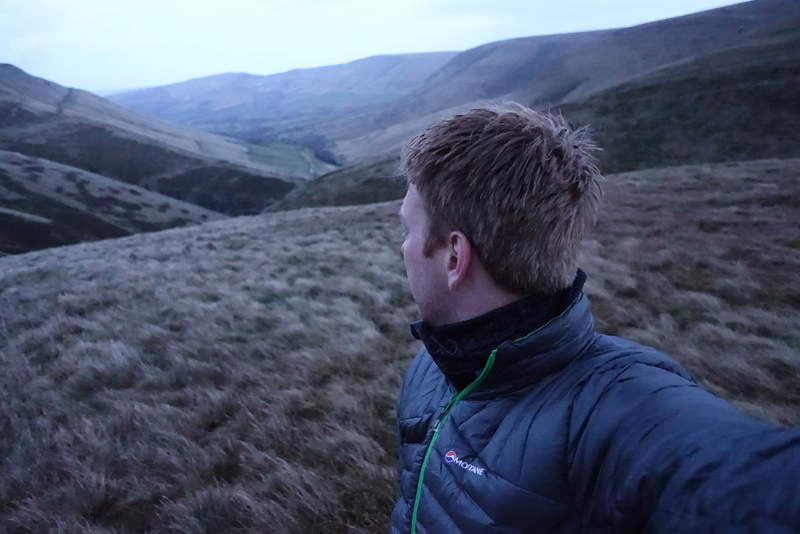 Far too slippy, I spent the night sliding down the hill (which was only a very very slight slope). 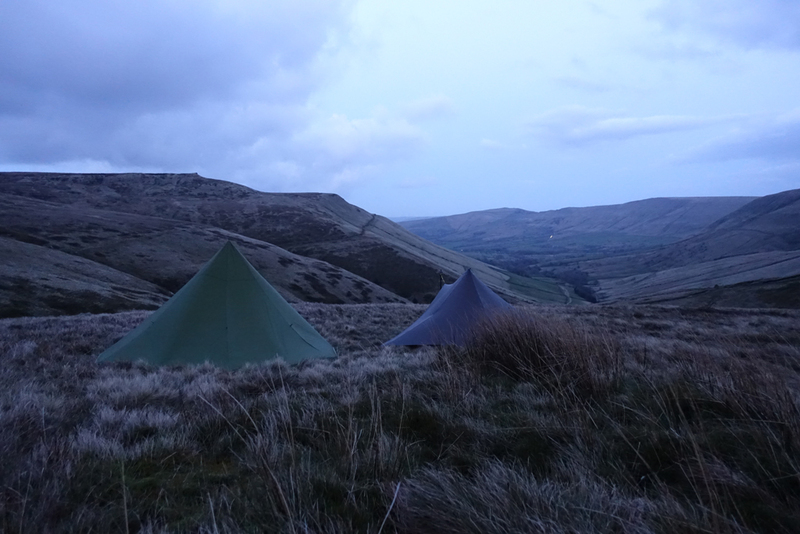 I’ve decided to let the MLD bivy go and it’s currently listed on eBay. I’ll use something else for the TGO. 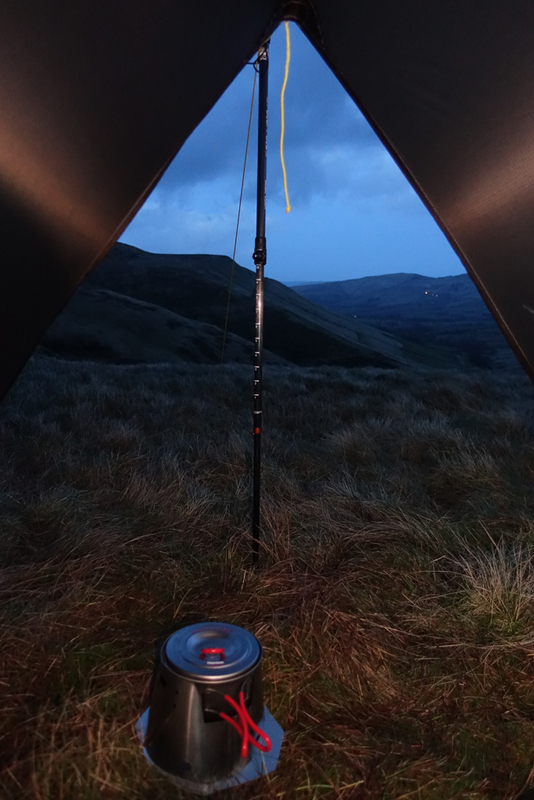 The first bit of MLD kit I’ve not been happy with. So a worthwhile trip as everything else performed perfectly.